Luis Alberto Ferri is accused of intentionally running over a pedestrian in Oakland Park and fleeing the scene in an incident that was caught on camera. NBC 6's Jamie Guirola reports. A driver accused of intentionally running over a pedestrian in Oakland Park and fleeing the scene in an incident that was caught on camera has been arrested, authorities said. 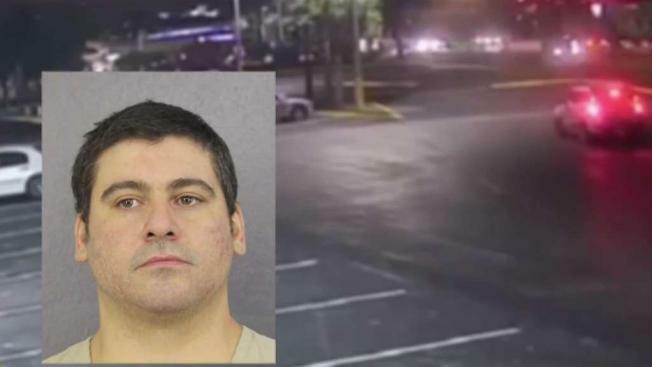 Luis Alberto Ferri, 36, was arrested Tuesday on an aggravated battery charge in the Feb. 23 incident that happened in the Publix parking lot at 950 East Commercial Boulevard, authorities said. Broward Sheriff's Office officials said surveillance footage showed the driver stop his car to allow the pedestrian to walk in front of him, but as the victim finished crossing the vehicle, the driver accelerated and turned in the direction of the victim. The driver then fled the scene. Officials said cameras in the Publix showed the driver minutes before the attack. The victim suffered a broken leg. 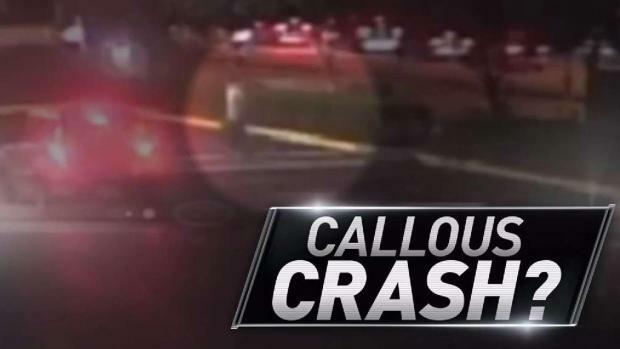 Authorities are searching for a driver who was caught on camera intentionally running over a pedestrian in an Oakland Park parking lot. NBC 6's Jamie Guirola reports. Ferri appeared in court Wednesday, where his attorney asked for a low bond, saying he voluntarily turned himself in. The attorney also argued self-defense, saying Ferri was in fear for his life because moments before he saw the victim attacking another person at a nearby bus stop. A judge gave him a $50,000 bond, and he must wear an ankle monitor if he's released on bond. RAW: Footage shows a driver intentionally running over a pedestrian in an Oakland Park Publix. BSO officials said the driver was in the store minutes before the incident.